Death toll up to 13, including several who drowned in Virginia. Meanwhile, I-10 is open again in the Florida Panhandle after debris was cleaned up. Yes, they did. He's fine. So that's up to 26 total, including the 13 deaths outside the US. Now it’s up to 16 in the United States. I’ve read some of the Facebook pages of the most popular hangout spots in Panama City Beach. It looks like most had minor damage but nothing too serious. Even a few stores at Pier Park were open today according to their Facebook page. Perhaps the highest winds speeds ever caught on video. Also downloaded level 2 data and found velocity bins of 211mph and 226mph, 2500-3000ft off the ground right around landfall. Also an absolute huge number of 155-164knt winds at 2500 or so feet really make me think this gets an upgrade. 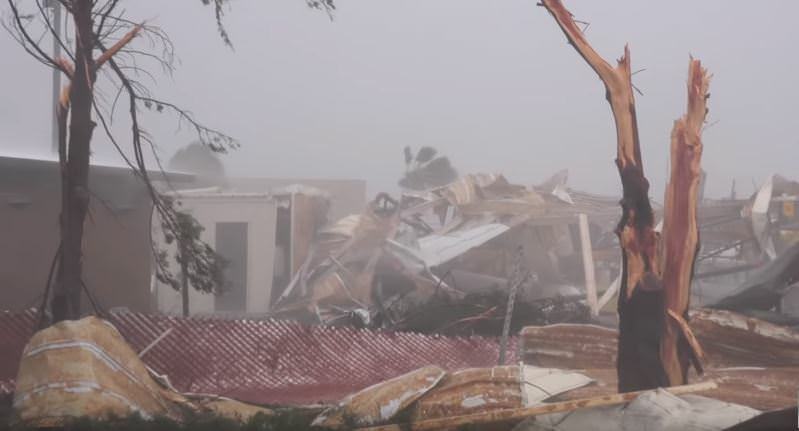 Here is another amazing video shot inside the eye of Hurricane Michael. Up to at least 33 deaths (18 in the US and 15 in Central America). 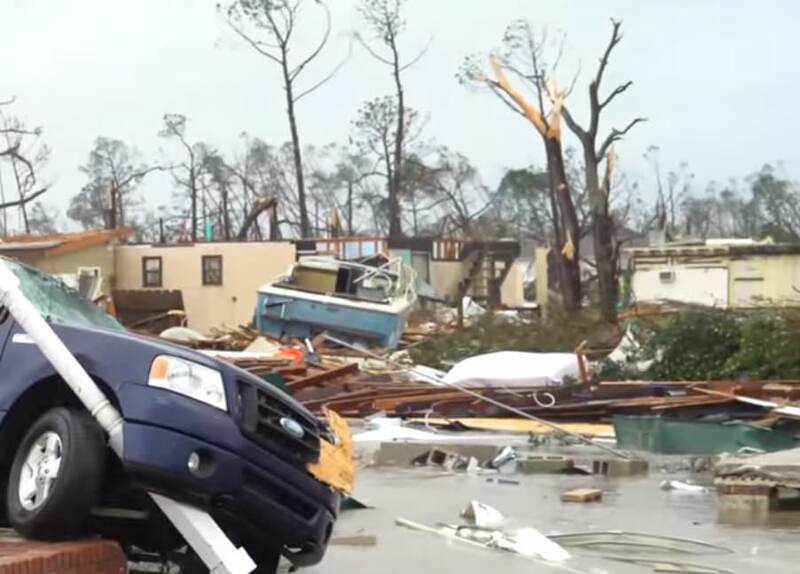 Death toll up to 12 in Bay County, Florida (Panama City). TWC says the death toll in the US is up to 31. I think it's still at 15 in Central America so that's 46. The aftermath in Mexico Beach is now on Google Street View. This is why you evacuate. 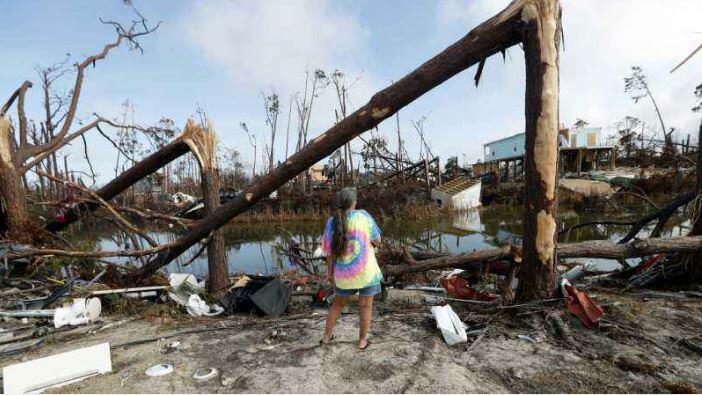 Some horrific details from a 911 operator during Hurricane Michael. Man that's gut wrenching. I hope they have programs so that they can get free psychological help if they need it. Power has been restored in all Florida counties affected by Michael. Michael is the only hurricane besides Irma where I can say yes, there was debarking. Incredible. Where are those pictures from? They are some of the most impressive wind damage images I've seen yet. They are Andrew-like and ought to put to rest any notions that Michael was anything less than its operationally-assessed top-end Cat 4 at landfall. Where are those pictures from? They are some of the most impressive wind damage images I've seen yet. They are Andrew-like and ought to put to rest any notions that Michael was anything less that its operationally-assessed top-end Cat 4 at landfall. Re-analysis will probably upgrade to Cat 5 if I have to bet money. I want to say Patricia in 2015 had similar debarking, but I can't find the picture currently. First two are screen grabs from chase videos and the last is from a news site. The first photo is from Tyndall AFB and the other two are from Mexico Beach.